The most extraordinary revelation that Stewart Lee makes in his latest show — probably the flat-out funniest in a 28-year career that has made him one of the most lauded comedians of his generation — is when he tells us what he gets up to at home after the spotlights have faded. With most comics, you suspect, post-gig regimes involve drink or drugs or groupies or videogames or an ungodly combination of the above. Lee, though, the co-creator of Jerry Springer: the Opera, the more caustic half of the Nineties double act Lee and Herring, more recently the star of Stewart Lee’s Comedy Vehicle, has never been most comedians. So when he returns to the house in Stoke Newington, north London — where he lives with his wife, the comic Bridget Christie, and their children, Luke, nine, and Daisy, six — he goes online to do something that sounds perverse yet is legal and profitable. Late at night, as Lee explains on stage amid some typically twisty routines about Brexit and Trump and the atomisation of society in the digital age, he logs on to Amazon and looks for cheap copies of his own DVDs. He can often get them cheaper from online warehouses than he can from his wholesaler. So he buys as many as he can, then sells them on from the merchandise table at his shows. What’s more, he says, he has made more money over the past ten years selling DVDs of the satirical opera than he and his co-writer, Richard Thomas, made during a six-year history in which it had great success (National Theatre, West End, a UK tour), but was also dogged by expensive legal problems with a protest organisation, Christian Voice. He describes visiting pound shops on tour to buy dozens of copies before selling them for a fiver (“the least I can do them for”) at his shows. Lee recognises the absurdity of all of this. Yet he also recognises that he needs to think like a small businessman to stay in charge of his career just as he stays in charge on stage. His most distinctive trait as a stand-up is the way he steps outside his act to comment on it; why it is or isn’t working that night, whether or not we the audience are worthy of him. Off stage he examines his position in the marketplace with the same mix of detailed analysis and warped imagination. On stage “Stewart Lee” — he often refers to his stand-up self in the third person — is bitter about being discarded by the BBC after four series of a Bafta award-winning stand-up show. 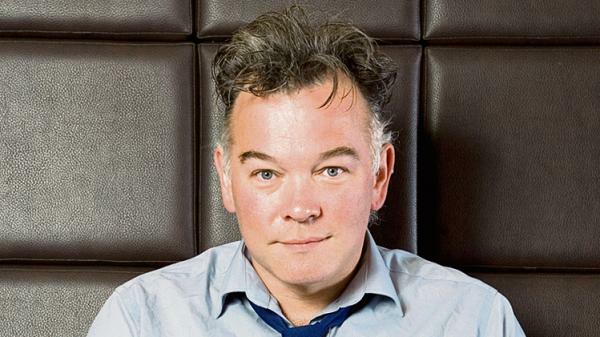 Off stage Stewart Lee is phlegmatic. Even, in some ways, glad. When the cancellation of Comedy Vehicle came last spring, he was already planning to take three years away from television to tour this latest show, Content Provider. He had also decided that, if the fifth series happened, he wanted to perform it in a big, grand theatre rather than the working men’s club in Stoke Newington that had hosted the first four. It no longer made sense for “Stewart Lee” to moan about his status as marginal and misunderstood, when, in the real world, he will play to 80,000 people in the first set of London dates at the Leicester Square Theatre alone. “I’ll be 50 by the time this tour ends,” he says. “I don’t have a pension, we have two kids and a mortgage, and in a way you can’t afford to do television at the moment. Two hours of material kept on the road for two years is worth three times what the BBC will pay for it. In the meantime, career plan A remains in place. Thankfully, he has never been funnier. Occasionally Lee’s yen to stretch the form has been more ingenious than hilarious. Here there’s sociopolitics, but it’s wrapped in a lot of jokes. “I thought I should just do a show that’s really good fun and not worry about reinventing the wheel or have some hugely meaningful comment to make. I felt like being obtuse is a sort of luxury of simpler times, and at the moment everything is complicated enough. Still, all this DIY can put a strain on a comedian. Christie’s career has taken off since she won the Edinburgh Comedy award in 2013. This year they will both be touring. Yet, apart from babysitters, they do all their own childcare. Should they not get some home help? “Well maybe, but I just feel really awkward about it.” He points out that one of the advantages of stand-up is that he can be free during the day — even if it’s not ideal getting up for the school run at 6.30am every other day if you’re too adrenalised after a show to get to bed until 1am.